On April 17, 2014, Simpson performed songs from his sophomore release, Metamodern Sounds in Country Music. 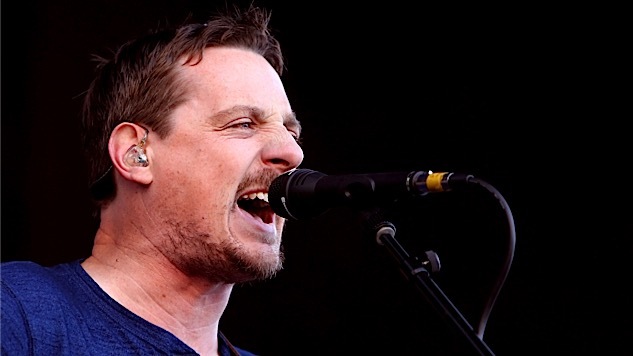 2014 was a big year for Kentucky country crooner Sturgill Simpson. After a near decade of performing on and off with his bluegrass band Sunday Valley, he was now a year removed from his promising debut LP, High Top Mountain, and basking in the glow of its great-leap-forward followup, Metamodern Sounds in Country Music. (It made No. 15 on our list of the 50 Best Albums of 2014). Simpson suddenly found himself on national TV and playing ever-bigger stages. On April 17, 2014, about a month before the release of Metamodern, Simpson visited the Daytrotter Studio to perform a couple new songs, one older one, and a cover of “Could You Love Me One More Time?” by country maven John Conlee. Even at this early stage, Simpson showcases his prodigious skills with just a voice and guitar. Listen to Simpson perform Metamodern cuts “Long White Line” and “Livin’ the Dream” on this date four years ago.